Juniper 'Blue Pygmy' makes a tiny, spreading blue grey mound. It is a really dwarf selection growing no more than a couple of centimeters a year. It has a tight horizontal form and interesting texture. It is ideal for a trough, a rock garden or a Fairy Garden. 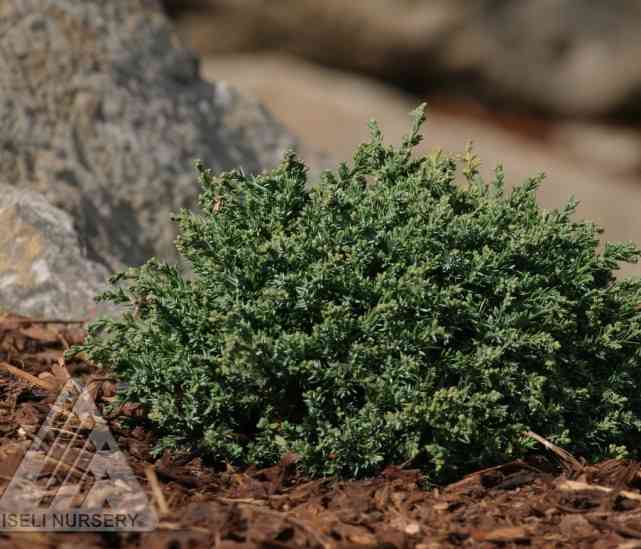 Juniper 'Blue Pygmy' is very easy to grow in average well drained soil in full sun to partial sun. Junipers do not like clay soil so amending with compost is necessary to improve the drainage where clay is present. In sandy soils compost will improve the moisture holding capacity of the soil. This is a small juniper that will require little pruning or shaping.